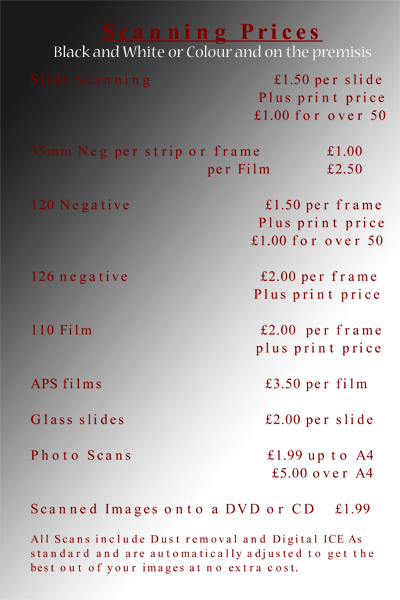 Been elsewhere and disappointed with the results of your slide scans? Give us a try to se if we can do better. Bring in a slide and the print scanned elsewhere and we will print one for you, and make it better - free of charge for the first one. Scanning is our specialilty so we invested in a very expensive piece of kit (over £30,000)to give the best results from your slides and negatives.We adjust each image individually to restore as much as possible, the original colours. Unlike other companies we do not charge extra for this.